"The question here is, is this a coup, and if so, who is staging it on whom?" 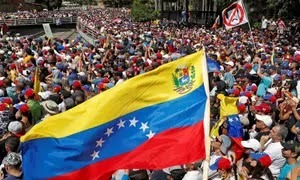 News out of Venezuela this past week has been sobering and curiously connected to so much happening elsewhere, including here in the U.S. Why wouldn’t it be, for that matter? The same planetary energies are weighing on every nation in these Darwinian geopolitical times, and some nations will simply be better equipped to survive and hopefully, thrive. Some nations will unfortunately fall prey to others, when what they really need is help, which brings us back to the suffering state of Venezuela. 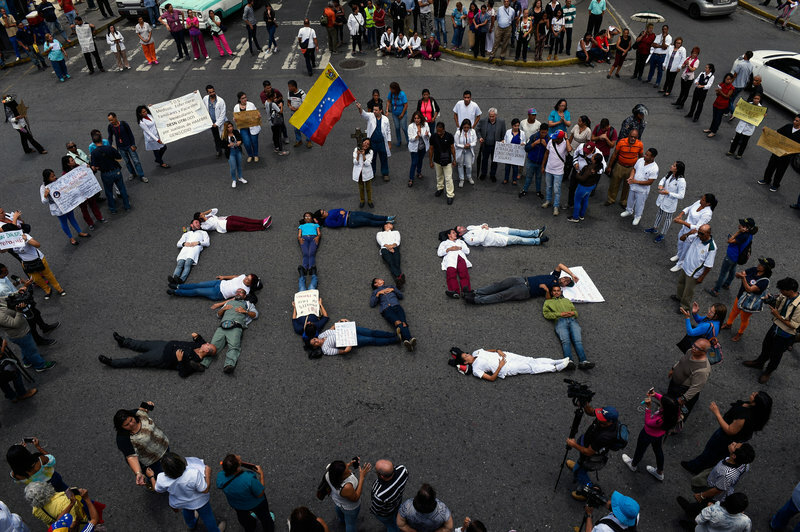 As you might have followed in recent news, Venezuela’s economic misery is causing mass starvation, the collapse of their medical system, and—not surprisingly—a refugee crisis that is 3 million strong and rising. To add insult to injury, Venezuela’s government has been tossed in the air as two men now claim to be the legitimate president: Nicolás Maduro—a brutal dictator who has manipulated the nation’s democratic institutions (including a recent “show” election) to keep himself in power, and Juan Guaidó, the National Assembly’s choice (and the next in the line of succession after Maduro was effectively deposed by the Assembly this past January 23rd). There will be lots more to say about all this ahead. Bottom line for now, Venezuela is experiencing an existential crisis, and outside nations are getting involved, including the U.S. Unfortunately, the Right and the Left rarely get these no-win situations right, especially when they get mired in ideological mind games—or even worse, when control of resources and territorial ambitions are at stake. Needless to say, if the U.S. intervenes militarily to rid Venezuela of Maduro, as the Trump administration has been posturing since 2017, it will conjure up so many past horror stories, and Maduro is using that history to defend his regime’s legitimacy and to crack down even more heinously on any dissidents. Not surprisingly, the specter of American imperialism is providing cover for the world’s right-wing dictators (Russia, China, Turkey, etc.) to rally round Maduro. So we are confronted with a serious “damned if we do, damned if we don’t” scenario. Meanwhile, the Venezuelan people are seriously suffering, now. And like it or not, we’re far from neutral observers: one NPR commentator pointed out how every gallon of Venezuelan gasoline coursing through the veins of our vehicles is helping to finance Maduro’s brutality against his own people. So trust—or more likely the absence of trust—is at the core of this dilemma, as it is of so many other dilemmas. For instance, the news has reported on several meetings between Trump and Putin for which records were either destroyed or simply never made, so we don’t know what they’ve discussed, including Venezuela. Not exactly the formula for inspiring trust in the American people. So, the natural sympathy we might have for the struggling Venezuelan people may inadvertently work in their dictator’s favor? If history is any guide, the Trump administration’s stance will be twisted by Maduro’s backers (Russia, Cuba, Turkey, China, etc.) to keep him in power. It will also embolden Maduro: in fact, the NYTimes reports that in response to all the pressure, sanctions and threats, Maduro is already “sending out security forces to crush dissent in deadly operations that have alarmed even some of the president’s traditional supporters.” Young people are being pulled from their beds and killed just for attending protests. 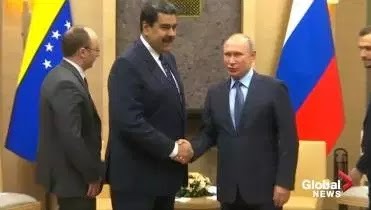 Russia was among the several “mediators” Maduro suggested for these talks—not surprising, given the cozy arms deal that exists between Maduro and Putin, but are we missing something key here? Is Venezuela’s crisis being manipulated to consolidate Russian influence in that region? Is it possible that the Trumpian political theater we’re seeing will, in the end, provide a pretext for this Russian power grab? Newly appointed president, Juan Guaido was immeidately protested by Russia. This may be overly cynical, of course, but consider the reality on the ground: the basic premise that Trump would naturally square off against Putin in defense of Venezuelan democracy just doesn’t align with Trump’s history and demonstrated leanings: we know he doesn’t like Maduro, but is he really interested in shoring up Venezuelan democracy? He seems more interested in destabilizing our own democracy, and we have little reason to believe that he wants to confront Putin about anything! If the U.S. sends aid to the starving Venezuelan people courtesy of Trump and slaps sanctions on corrupt players within Maduro’s regime, kudos for those actions, but the pro-democracy saber-rattling smacks of stagecraft and worse. Projecting American strength is a win-win for Trump, sure to please his electoral base and sure to deflect from pressing domestic issues. Besides, we know that Trump is mulling over an emergency declaration that would allow him to grab Defense Department dollars for his southern border wall (assuming the Feb. 15th deadline comes and goes without his wall funding): planning military action in Venezuela could provide a pretext there, too! Such action would only worsen the current refugee crisis, and it would be simple for Trump to construe that as a threat to our borders. If you’re trying to sell a product, create the market for it! 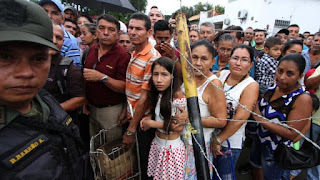 In fact, the Brookings Brief analyzed Venezuela’s collapsed economy, its available resources and human needs and concluded that to provide for their families, 5.2 million more Venezuelans would be forced to flee the country. This, added to the roughly 3 million who have already left, would make 8.2 million—surpassing even the Syrian crisis. 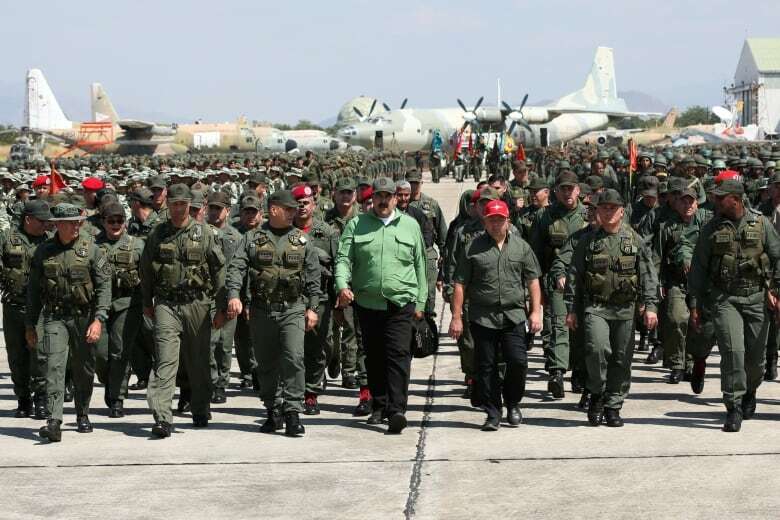 Maduro's dominance of Venezuela's military is troubling, at best. 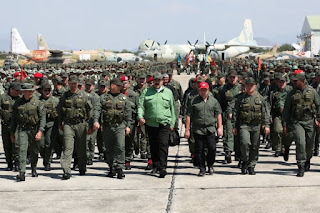 The question is, who will champion this “middle way” that respects Venezuelan sovereignty from all outside interference and perhaps neutralizes Maduro’s current dominance over the Venezuelan military? Will the Trump administration avoid a military intervention “black eye” and take less controversial actions to see Venezuela through this crisis? Or will he make the reckless decision to deploy military force and use Venezuela’s crisis as some kind of convenient leverage? My guess is that we will see some sign of which direction this is headed before the extended February 15th government funding deadline. Let’s see what the relevant charts have to say about all this. How Maduro arrived at the present crossroads in his career is a very long story, going way back to the Hugo Chávez regime, however the present drama seems related to a fraudulent 2018 election and its aftermath—Maduro’s authoritarian consolidation of power over key branches of the government, including the military. He’s been the target of sanctions imposed by outside nations, which have only inspired him to dig in his heels and cry victim, all the while cultivating allies like Russia and China, who have supported his hold on Venezuela with arms deals (Russia) and loans (China). So, let’s begin by considering Venezuela’s 1830 radix chart, set against a noon chart for the 23 January 2019 event in which Maduro was effectively deposed from, and Guaidó was elevated to the presidency. There have certainly been other key moments in Venezuela’s current struggles, but this particular day seems to represent a transformational moment that could ultimately either make or break not only Venezuela’s democracy, but its very status as an intact nation state. It's also significant that Venezuela would have just experienced the powerful January 21st total lunar eclipse at 0° +Leo-Aquarius. The energies unleashed that day are still quite potent, and they give the chart we're going to consider added punch. As mentioned earlier, Venezuela has fallen prey to a long string of corrupt abuses of power, but the combination of a State-run socialist economy (Chavez championed this before Maduro) and nearly total reliance on oil prices (resource-based economies are always super-vulnerable) seems to have set this toxic chain of events in motion. So, let’s see what Biwheel #1 below has to say about where Venezuela finds itself right now. Note that both charts in this biwheel are cast for noon because no precise time is available; for this reason, we won’t be able to discuss angles, house placements and our sense of the Moon placement will be limited to a range of degrees. Biwheel #1: (inner wheel) Venezuela, September 22, 1830, 12:00 LMT (noon, no exact time known), Caracas, Venezuela; (outer wheel) Maduro deposed-VZ, January 23, 2019, 12:00 p.m. ST (noon, no exact time known), Caracas, Venezuela. Source for radix chart: BWH, Chart #386, pp. 381-382. Tropical Equal Houses, True Node. These midpoints are even more important because they are also being squared by transiting Sagittarius planets Jupiter and Venus, and opposed by transiting Pisces Neptune—an issue we’ll get to next. “Thesis: Form and definition in an enterprise; the will of the people as defined in the principal founding documents; the checks and balances within enterprises as implemented by various administrations. The Sun/Venus midpoint brings in financial and leadership issues, of course—also quite relevant here, considering the sanctions already imposed on Maduro by several nations, including the U.S. These sanctions are designed to help the National Assembly’s cause, but as we've seen, Maduro is also receiving financial help and arms designed to keep him in power, so again, the support works in both directions. Turkish president Reccep Tayyip Erdogan has thrown his support behind Maduro. 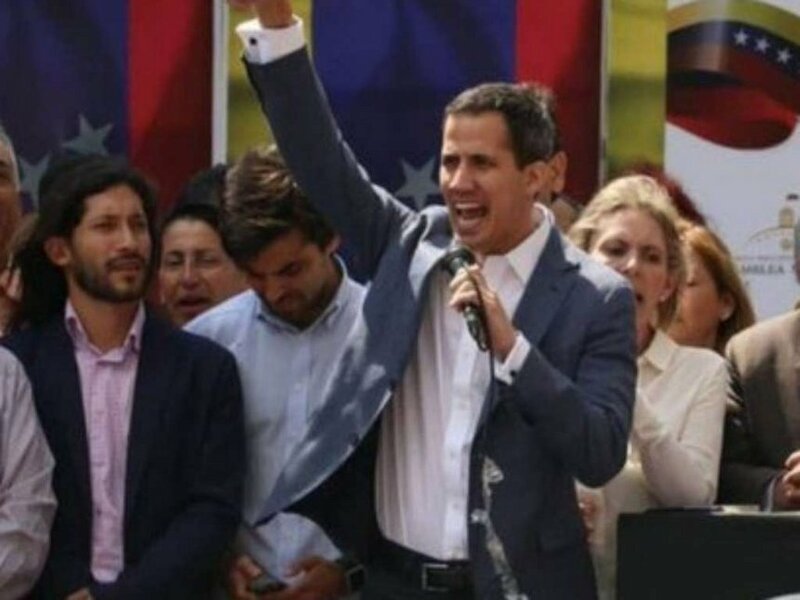 It’s likely that both Maduro and Guaidó have been meeting behind closed doors with power players from both within and outside of the national government. The question here is, is this a coup, and if so, who is staging it on whom? The midpoint on its own (sans Pluto) also covers alliances (both fortunate and not), bureaucracy building, and the will to lead, so it’s no surprise that this nation is at an existential crossroads. 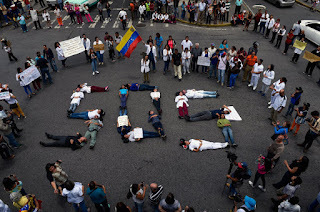 Mass protests against Maduro continue, despite his crackdown. Interchart T-Square: Jan 23rd Neptune (Pisces) opposes VZ No. Node and VZ Sun/Saturn midpoint (all Virgo); this axis squares Jan 23rd Jupiter-Venus (Sagittarius). It’s also true that Jan 23rd Jupiter-Venus square VZ Sun-Venus and Sun/Node midpoints (both Virgo), outside of the t-square (this has to do with the tighter orbs needed for aspects to midpoints). Bottom line, all these energies are at work, some more intense than others. One major point to consider here is the mutable nature of the signs involved: this tense configuration is about pushing for change, and it’s happening in two directions at once! 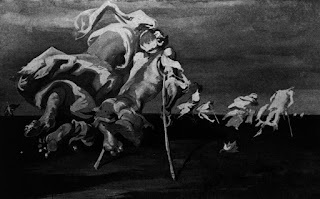 It’s also happening in an atmosphere of greatly distorted facts and shadowy alliances (Jan 23rd Neptune casts a fog over everything). Yet, there is great impetus to make change, and as Jan 23rd Jupiter and Venus perfect their squares to the VZ Sun, the movement should intensify. Will this happen in the form of bigger, more disruptive protests that dare Maduro to turn members of the military against their own people? Jan 23rd Mars (Aries) trines this Sagittarius duo, so it’s possible that we will see more bloodshed before this is over. It’s also possible that this nice trine indicates military support for the protestors. More about this Mars in a bit. Jan 23rd Uranus (Aries) trines VZ Saturn (Leo) and quincunxes VZ Sun (Virgo); Jan 23rd Chiron (Pisces) conjoins VZ Mars (Pisces) and opposes VZ Sun. It would help to know the house placements of these VZ points, but working with the info we have, it appears that Venezuela’s sovereignty and its leadership (Sun) are both incurring existential wounds that impact the nation’s ability to act in its own defense. By splitting the Venezuelan military (Jan 23rd Chiron-VZ Mars) off from other parts of the government to keep himself in power, Maduro has effectively placed himself above the national constitution in the name of defending what he maintains is his legitimate (i.e., constitutional) administration. As always, Neptune distorts power relations and blurs the lines between conflicting narratives and claims. This would certainly describe the ways in which Maduro essentially manipulated Venezuelan institutions (including the National Assembly) to his liking since his first election in 2013. Neptune is usually found lurking behind fraudulent elections, as well, which Maduro is accused of pulling off in May 2018. Clearly, Venezuelans want the world to know they are in crisis. The fact that Venezuela’s democratic socialist system could be at stake here is interesting, as well: Neptune and Pisces are traditionally associated with left-wing and socialist leanings in mundane astrology. Keeping the story unclear and confused tends to work in favor of the “heavy” in any political scenario, of course, but we can probably thank the long-term quincunx to the VZ Sun by Jan 23rd Uranus (Aries) and its trine to VZ Saturn (Leo) for whatever clarity and will-to-overcome Maduro’s rule that exists. Disposed by VZ Sun (Virgo), this Saturn suggests that the ties between the National Assembly (like our Congress, a Saturnian institution) and the Executive (Sun) are extremely tight. Chiron has been transiting inconjunct that Saturn since early 2017, so the corruption of the Assembly and the erosion of its effectiveness have been long-standing (Maduro engineered the election of a new Assembly packed with supporters in 2017). Yet, since then—significantly, while Uranus has been transiting trine VZ Saturn and quincunx VZ Sun—the Assembly seems to have woken up to its power and responsibilities. It’s had outside, organizational help (Uranus), as well: the Organization of American States went so far as to declare Maduro an illegitimate president after the fraudulent 2018 election, basically setting off this current crisis. 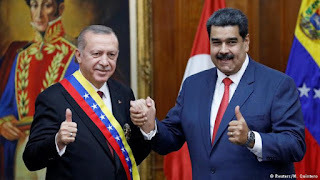 Being in late Aries (with a brief interlude in Taurus), this Uranus transit likely also reflects the weaponry that Maduro has received from allies like Russia who seem bent on keeping him in power. Geopolitical games for influence in South America are certainly afoot. Jan 23rd Mars (Aries) squares Jan 23rd Saturn and Pluto (Capricorn) and VZ Jupiter/Neptune (midpoint, Capricorn); Jan 23rd Saturn conjoins VZ Jupiter-Neptune (Capricorn); Jan 23rd Pluto conjoins VZ Neptune (Capricorn). To put this complicated mess into context, consider that over the past several years, Pluto transited over these important power points (Jupiter and Neptune) in the VZ chart. This on its own might explain the political turmoil and the corrupt descent the nation has experienced. Then along comes transiting Saturn, moving into Capricorn in 2018 and beginning to hold the nation’s institutions (and power players) accountable. Note that in the process of transiting VZ Jupiter, these “heavies” would also be squaring VZ Pluto (Aries)—Venezuela is no stranger to aggressive power plays (Jupiter-Pluto) that leverage the nation’s finances and natural resources for effect. 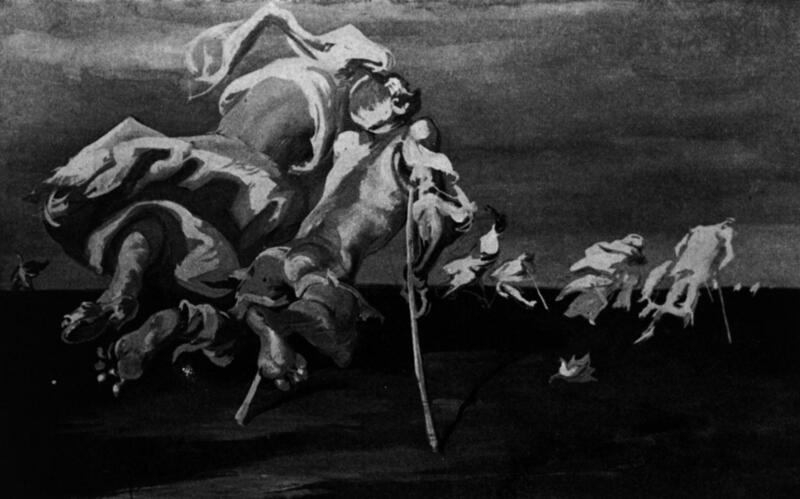 Neptune (oil) is always lurking in the background as the levers of power are manipulated—oil has been the lifeblood of the economy on all levels (Neptune's the focal planet of a cardinal Mercury-Vesta-Neptune t-square, with Venus disposing Libra Mercury). Add Mars to this mix and hostilities regarding all of the above issues mount, as the courage to confront the corruption also grows. Finally, in a stunning bit of cosmic showmanship, the VZ Progressed Sun for January 23rd (chart not shown) is now at 8°+Aries, exactly conjunct (radix) VZ Pluto! Is it any wonder we are witnessing a torturous transformation in Venezuelan leadership and perhaps even in their national identity? Brazil declared a state of emergency as 800,000 Venezuelans fled towards their border. Of course, this raises as many questions as it answers: How many Venezuelan people will be displaced and/or destroyed in this process? 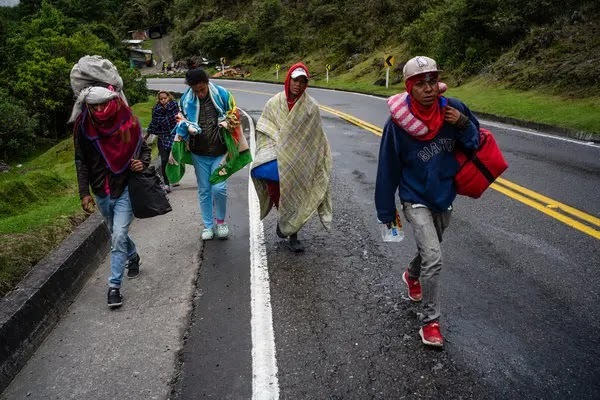 Will millions more need to flee their homeland, potentially destabilizing western hemisphere politics even further with more nationalism and xenophobia? How will the legitimacy (or lack thereof) of the Venezuelan presidency be resolved? Will the Constitution need to be entirely rewritten once Maduro’s reign of terror is finally over? So much of the pain and suffering has been produced by the failed economy and hyper-inflation, so it’s probably relevant that Progressed Venus is now at 2°+Taurus and conjoined Jan 23rd Uranus. Uranus will be re-entering Taurus in March, which could either intensify the pressure or force a resolution of the problem. Will allies come to the rescue with aid and high-level assistance re-engineering the Venezuelan economic system? Dropping whatever ideological hang-ups exist for the sake of pragmatic solutions (i.e., ones that meet people’s everyday needs and allow them to build for the future) would seem to be the message of a Progressed Venus in Taurus. Venus progresses approximately 1° per year, so as she closes in on a trine with VZ Jupiter (Capricorn) in the next 5 years or so, Venezuela will hopefully see economic progress and growth. 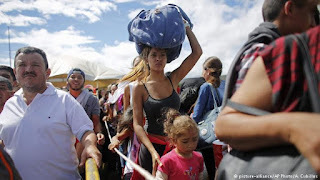 The UN is involved, offering help to nations that accept Venezuelan refugees. I was tempted at first to write this analysis around the two would-be Venezuelan presidents, Maduro and Guaidó, but it dawned on me as I considered the radix chart that Venezuela’s existential crisis is not really about the personalities or “fit” of one leader above another. It’s about something far more fundamental and perhaps more culturally-entrenched in Venezuelan politics. Hopefully those who really care about the future of their people and culture will dig deep and inspire some collective soul-searching. Venezuelans are far from alone in needing to do this, of course—IMHO, those outside forces that are looking to leverage Venezuela’s crisis for the sake of their own geopolitical games should take a pause and pick the carrion out of their teeth. To those whose intentions in helping are sound and compassionate, kudos. The challenge, of course, is to tell the difference! Bottom line, we are certainly learning tough lessons about the purposes and pitfalls of government these days. We would be right to wonder why it should take a complete failure of its democratic system and the national economy, not to mention millions of starving citizens, to wake the Venezuelan National Assembly up to its responsibilities. Even so, maybe we shouldn’t judge…the dreary fact is that any nation can be laid low in much the same way. Raye Robertson is a practicing astrologer, writer and former educator. A graduate of the Faculty of Astrological Studies (U.K.), Raye focuses on mundane, collective-oriented astrology, with a particular interest in current affairs, culture and media, the astrology of generations, and public concerns such as education and health. Several of her articles on these topics have been featured in The Mountain Astrologer and other publications over the years. She is also available to read individual charts—contact her at: robertsonraye@gmail.com. © Raye Robertson 2019. All rights reserved. Nicholas Campion, The Book of World Horoscopes, Revised, updated 2004 edition, The Wessex Astrologer, Bournemouth, UK, Chart #386, pp. 381-382. Michael Munkasey, Midpoints: Unleashing the Power of the Planets, ACS Publications, San Diego, CA, pp. 80-81. Thank you for this great review of what is happening in Venezuela. I hope you don't mind that I shared it to my FB friends, some astrologers, some not. I did acknowledge you when I shared. I have a degree in IR and this was really well done from my standpoint. I need to go back over the astrology of it all (I'm natal, not mundane) but wow...a lot of work.